Proteus mirabilis bacilli play an important role in human urinary tract infections, bacteremia, and rheumatoid arthritis. The authors previously studied human complement C3 conversion by smooth-form P. mirabilis O10, O23, O30, and O43 lipopolysaccharides (LPSs) and showed that smooth Proteus LPSs fragmented C3 in a dose- and time-dependent manner. In the present study, one smooth P. mirabilis S1959 and its two polysaccharide-truncated LPSs isolated from an R mutant strain were used to study the C3 conversion. The conversion of C3 to C3c by smooth and rough P. mirabilis LPSs was studied by capture ELISA and crossed immunoelectrophoresis. Proteins isolated from the outer membrane were analyzed by discontinuous sodium dodecyl sulfate gel electrophoresis. The smooth P. mirabilis S1959 (O3) strain was resistant to the bactericidal activity of human serum, in contrast to the Ra and Re mutant strains. The presence of an exposed core oligosaccharide in R110 LPS was not sufficient to protect the strain from serum-dependent killing. In addition to LPS structure, the outer-membrane proteins may also play roles in protecting the smooth P. mirabilis S1959 (O3) strain from the bactericidal action of serum. It was shown that the Ra P. mirabilis R110 and the Re P. mirabilis R45 mutants possess very different OMP compositions from that of the P. mirabilis S 1959 strain. Regardless of the complement resistance of the P. mirabilis strains, the S1959, R110, and R45 LPSs fragmented C3 and induced C3c neo-antigen exposure. 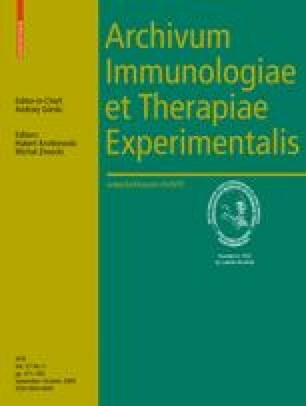 The use of complement-deficient human serum allows the conclusion that the Re-type P. mirabilis R45 LPS fragmented C3 by the antibody-independent classical pathway.